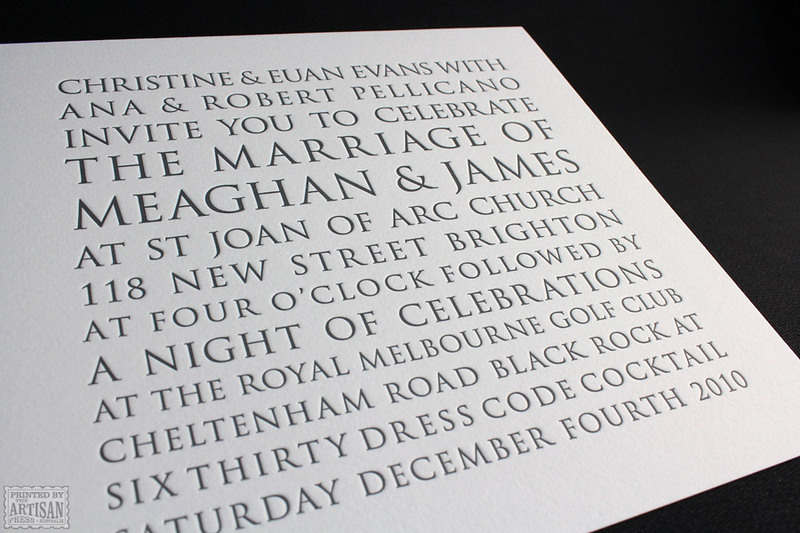 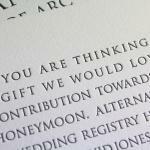 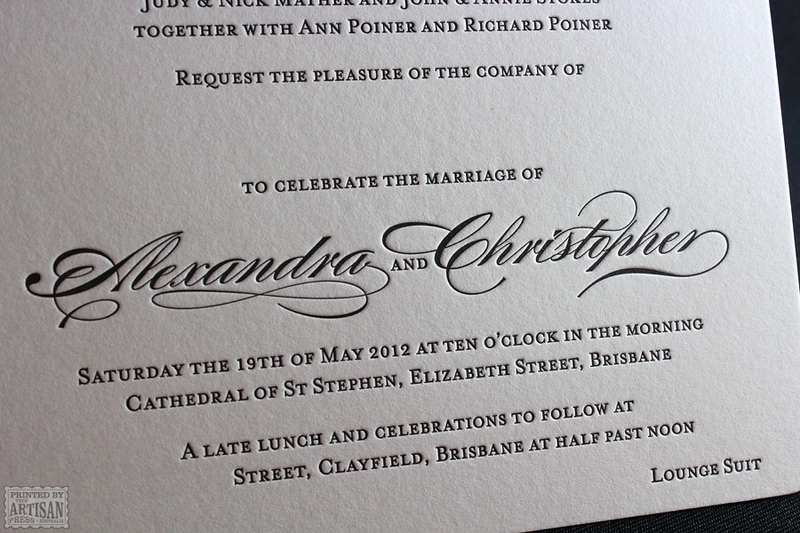 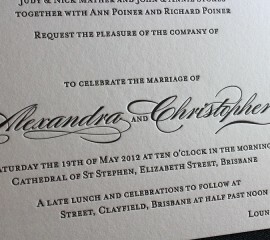 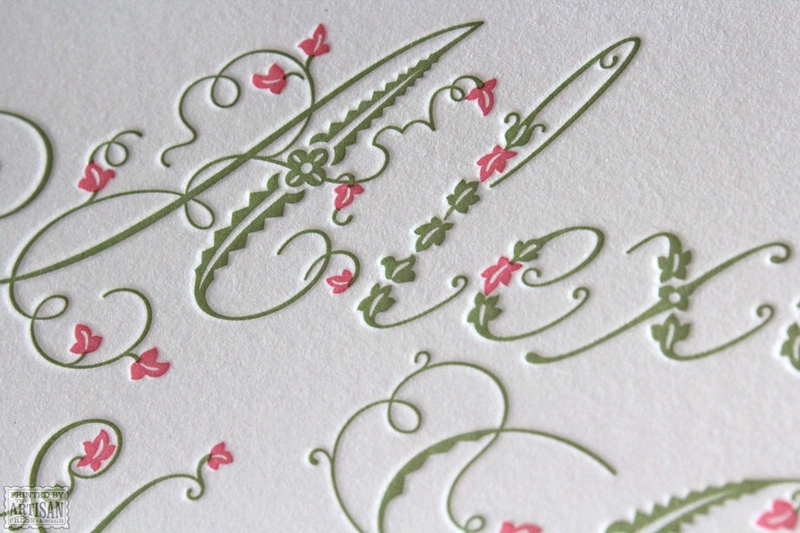 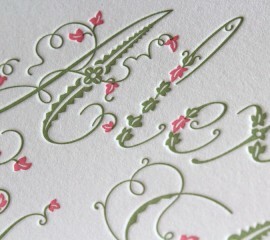 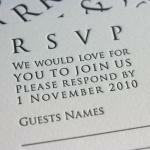 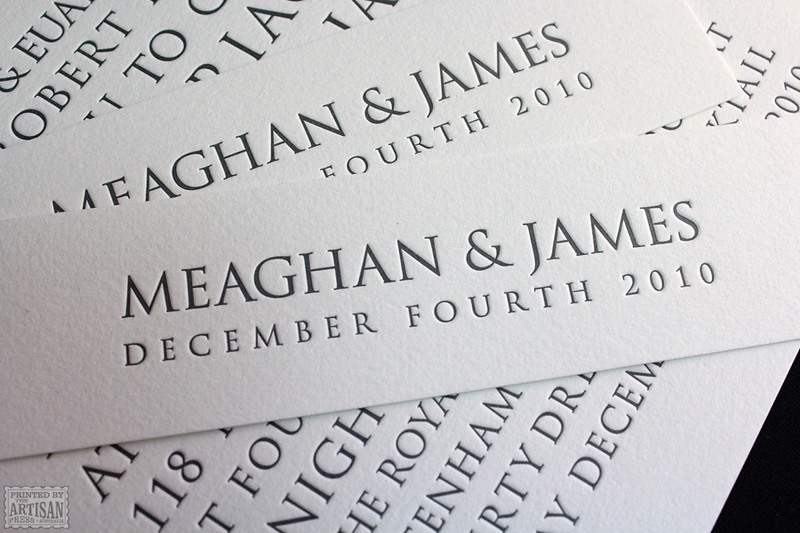 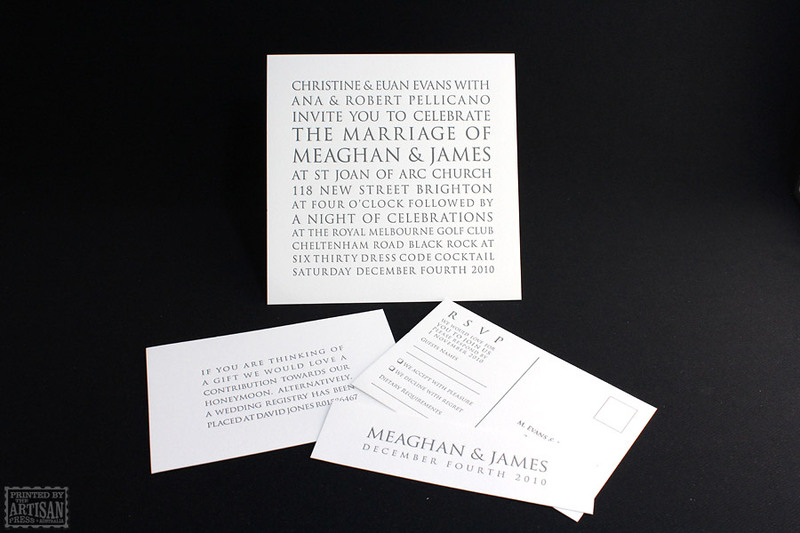 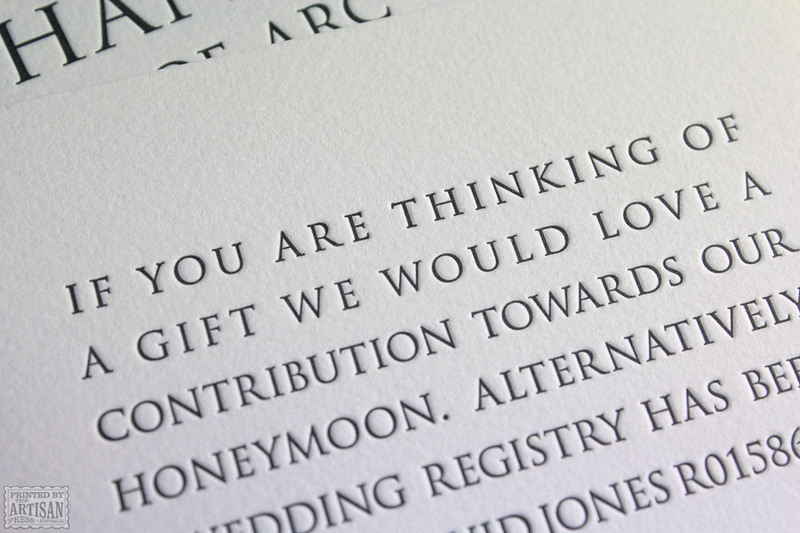 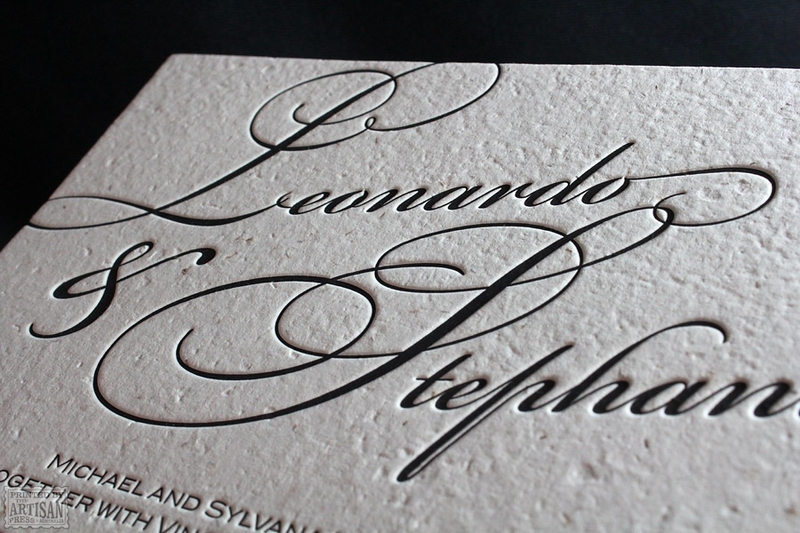 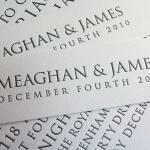 Once upon a time in the land of letterpress… A simple and elegant letterpress wedding invitation set from The Artisan Press. 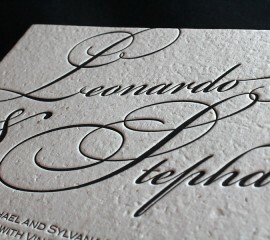 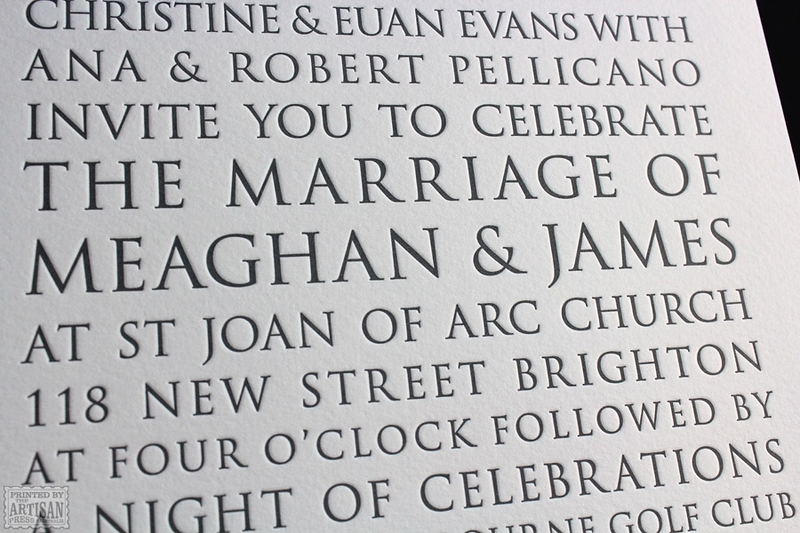 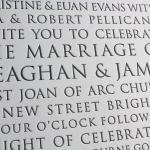 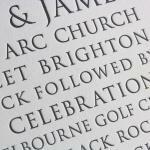 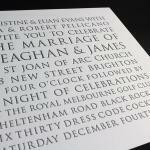 The smart text-based design allows the crisp letterpress printing to shine, and the Italian cotton paper tells the story. 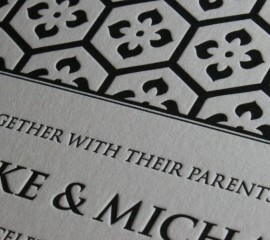 Even ink coverage and crisp impression on each individual character. 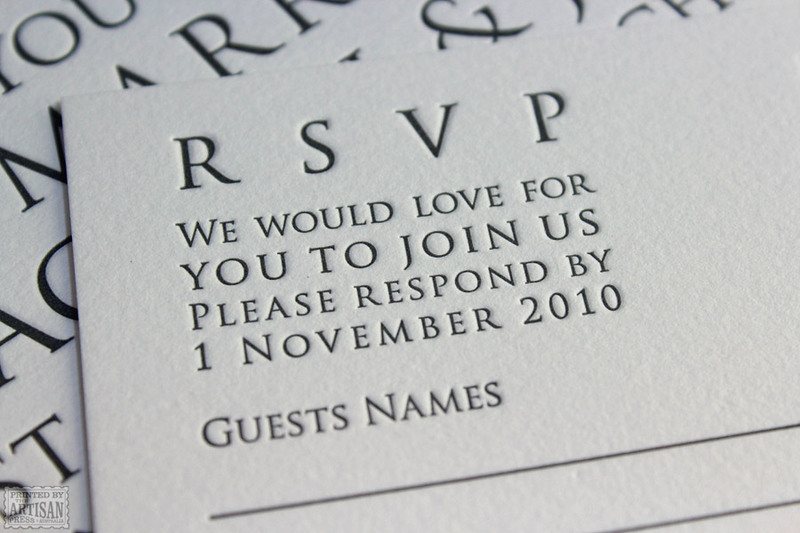 No paper warp or show through. 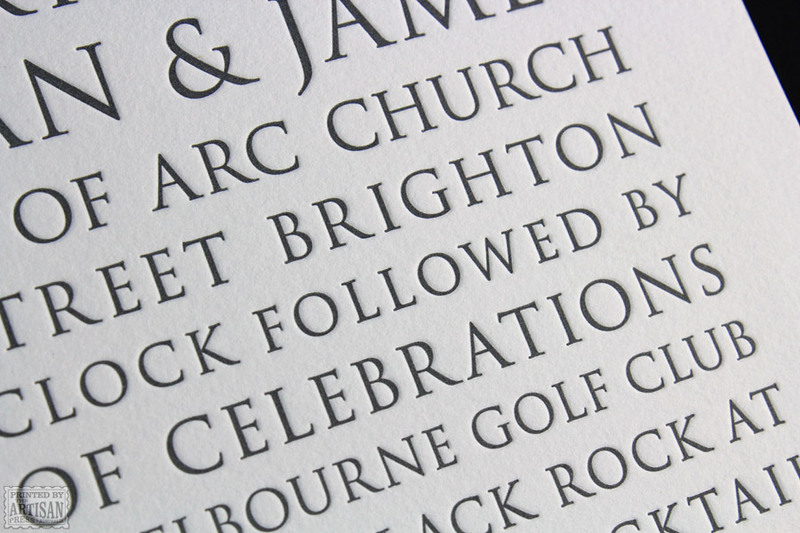 Precise trimming and a refined approach to impression.